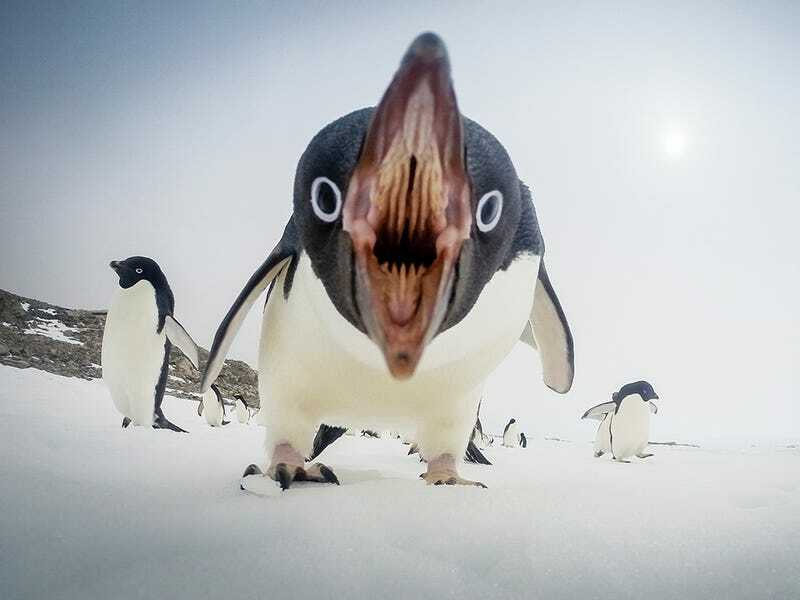 If you thought penguins were just cute and adorable, this amazing photo—featured in National Geographic's Your Shot—of an Adélie penguin angrily confronting the camera may make you think otherwise. It was captured by Gordon Tait near Casey Station, Antarctica, while shooting a series of time-lapses. "We often get groups of Adélie penguins coming to see what we're doing, and this one was trying to peck the camera."